In the spring of 2015, Bemidji-area tree farmer Ron Ketter visited Bemidji State University’s Sustainability Office with a proposition that Erika Bailey-Johnson, BSU’s sustainability coordinator, couldn’t refuse. 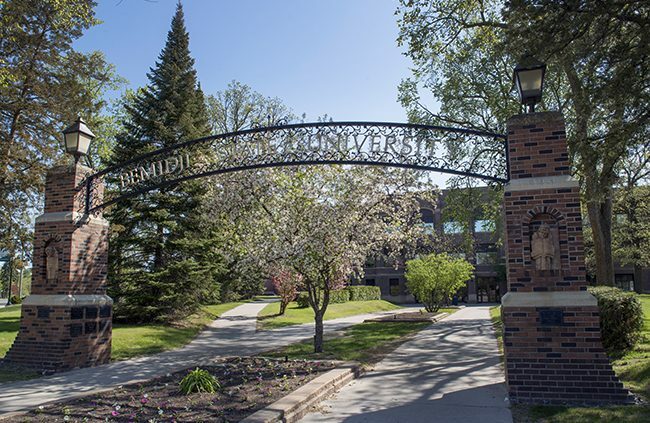 Registration is now open for Bemidji State University’s Happy Dancing Turtle EcoCamp, a four-day summer science camp for first- and second-grade children that will build an awareness of our impact on the environment, what can be done to reduce that impact, and learn skills needed to protect and improve the environment. Registration fees for the June 27-30 camp are due by June 13. 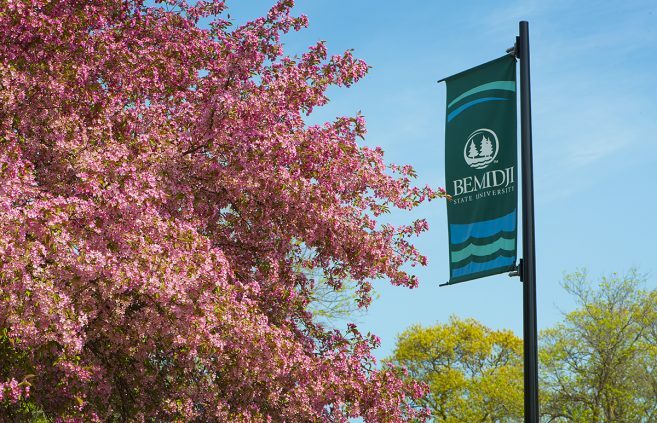 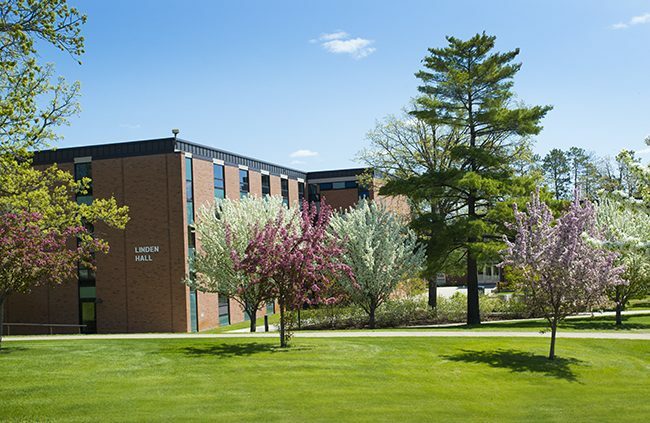 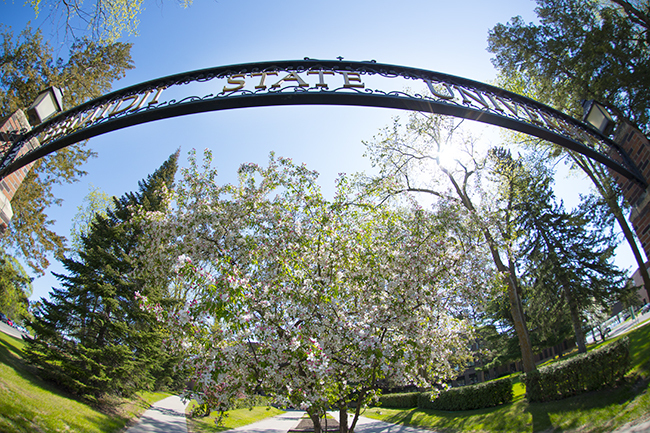 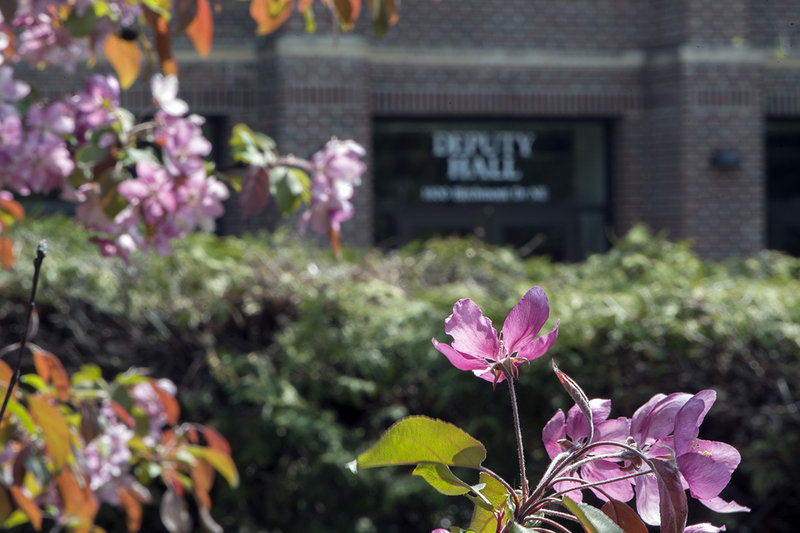 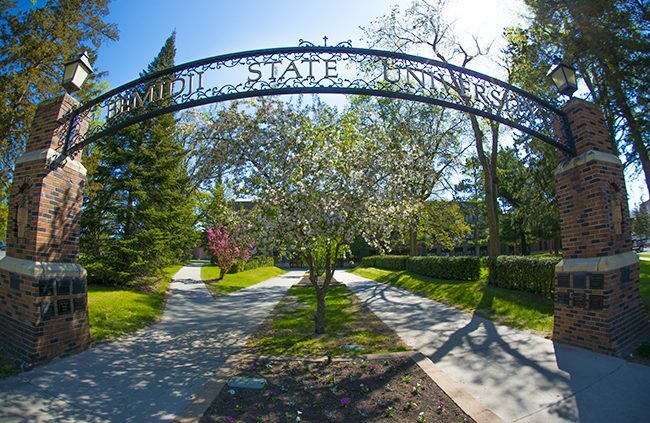 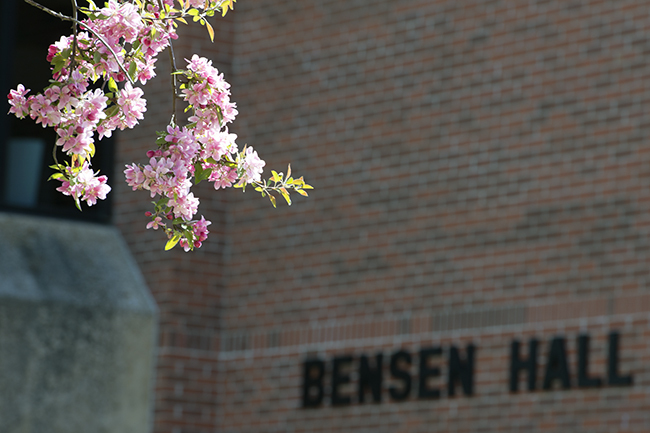 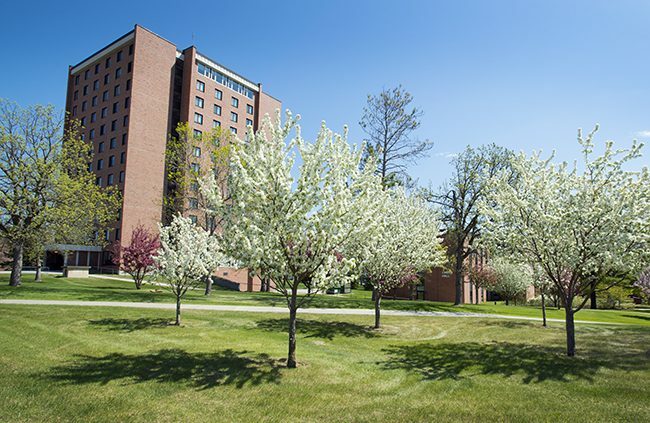 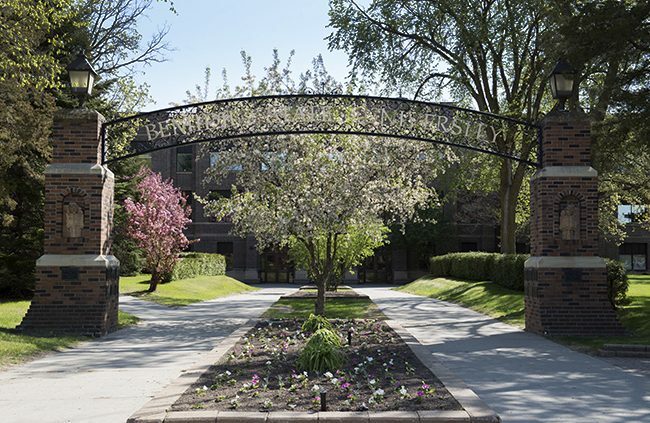 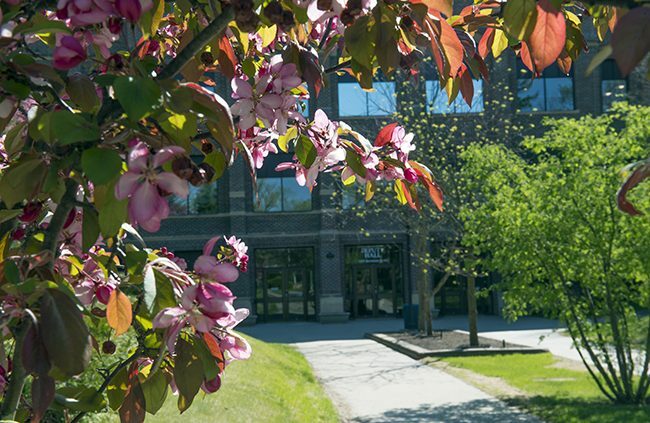 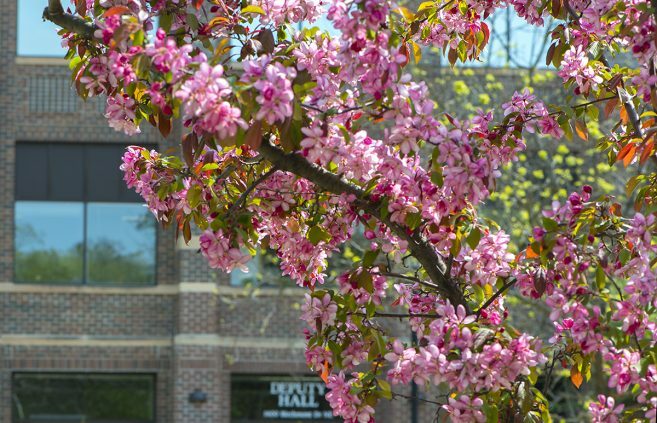 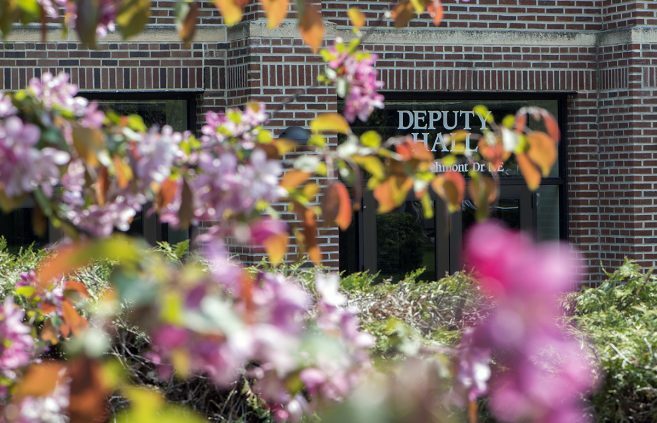 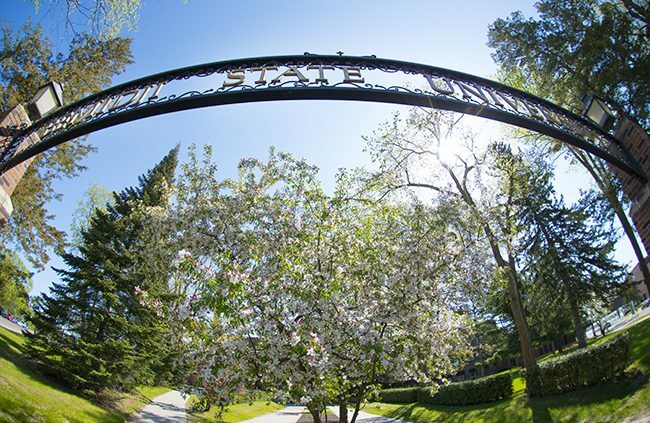 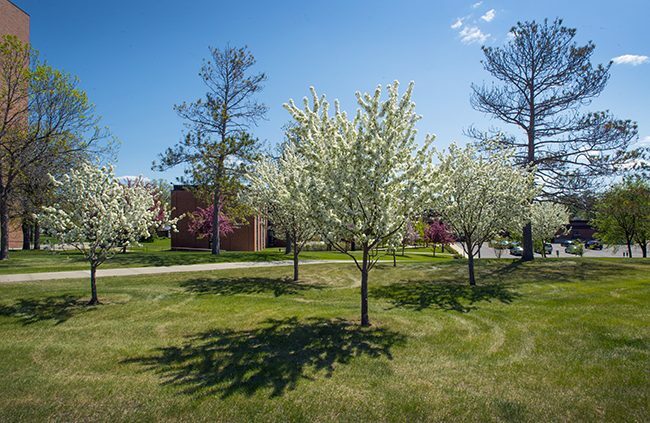 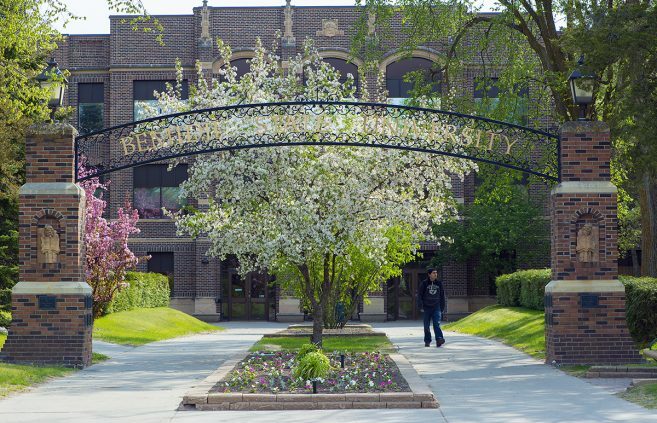 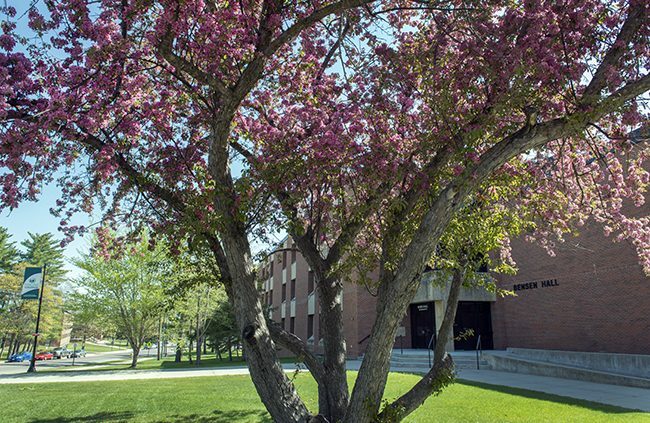 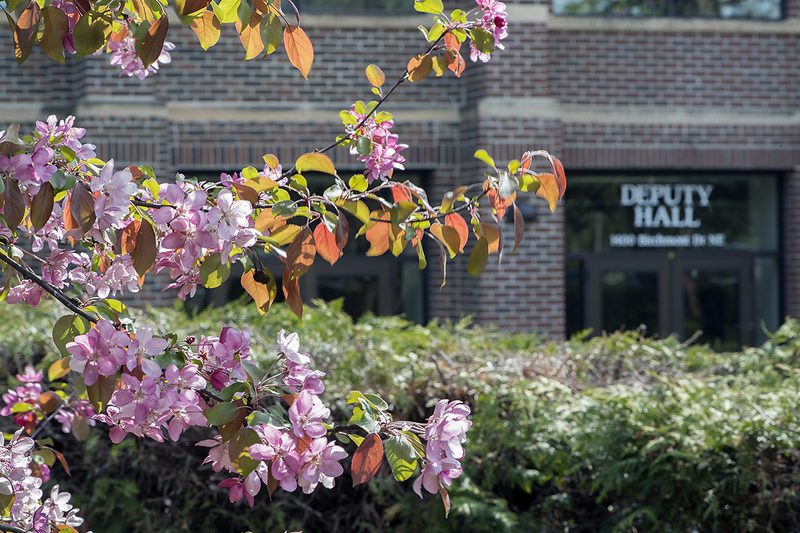 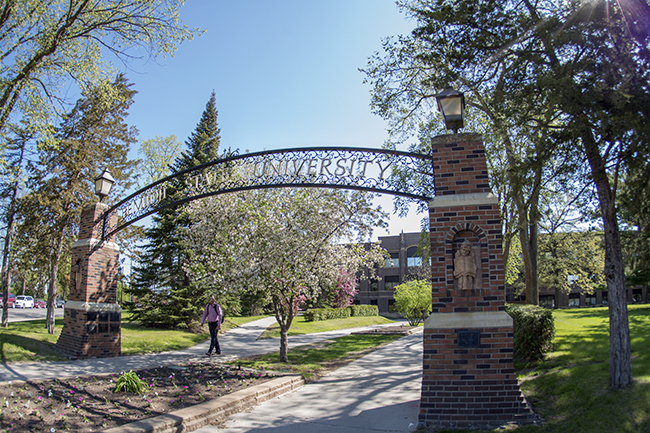 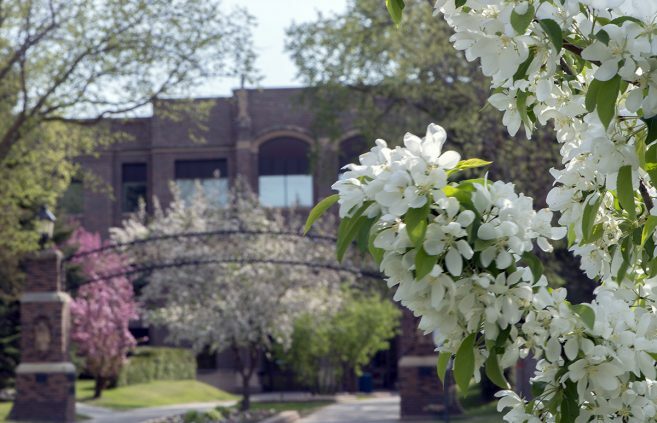 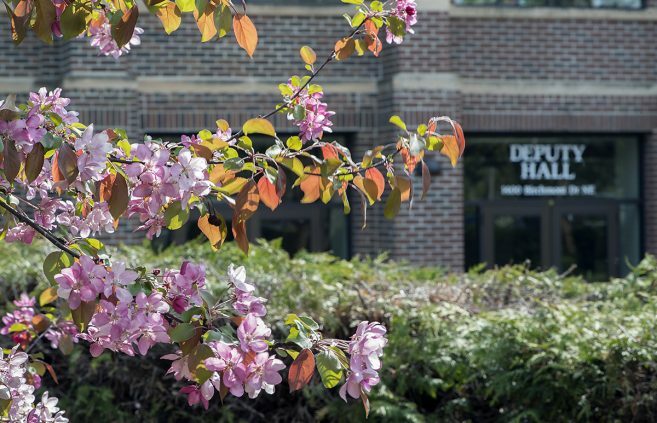 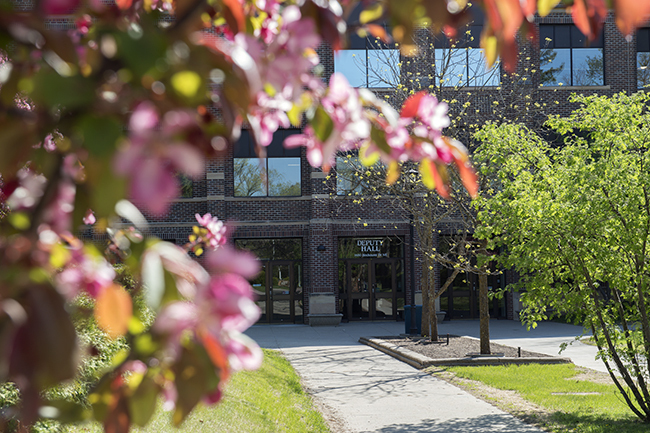 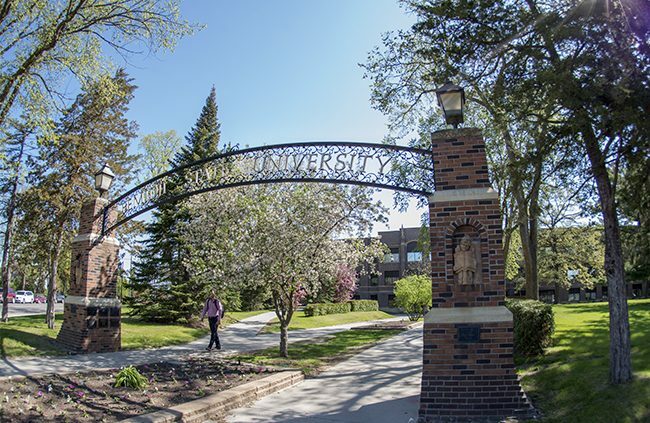 Members of the Bemidji community are invited to meet three finalists seeking to be the next executive director of Bemidji State University Alumni and Foundation at open forums on May 31 and June 2. 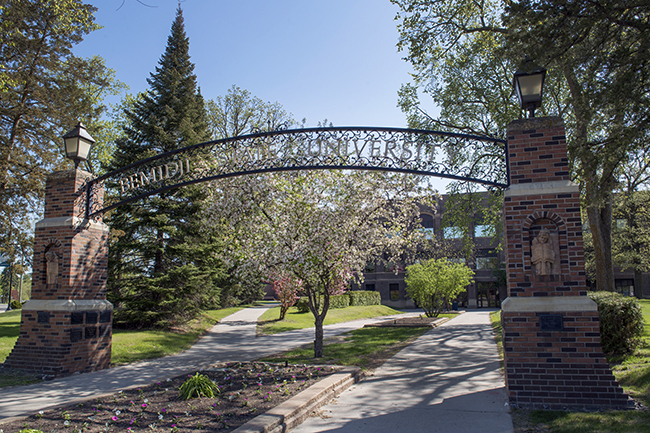 Beginning May 26, information technology, computer science, business technology and engineering technology professionals from all over the world will descend on Bemidji for the Universal Technology Management Conference. 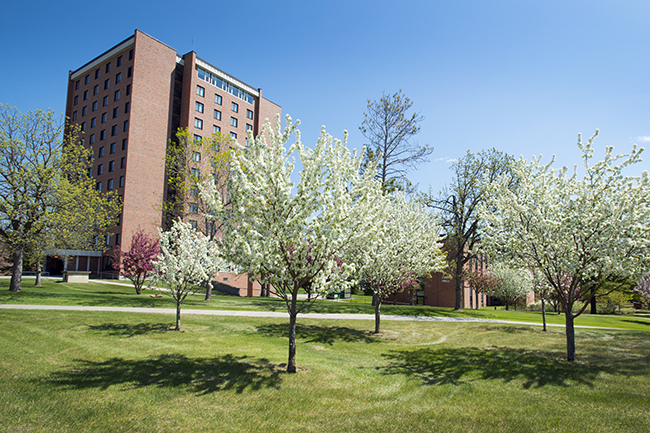 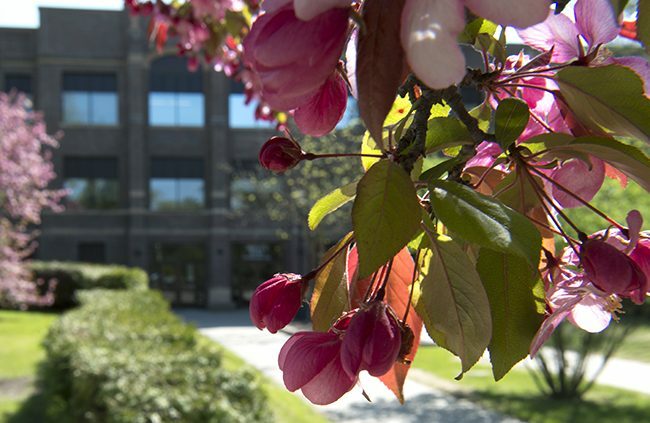 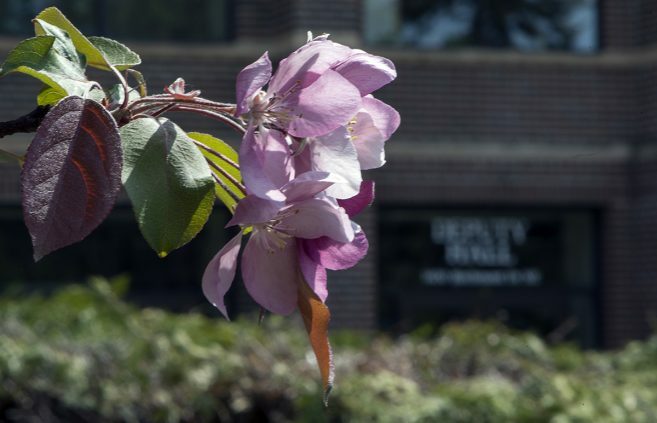 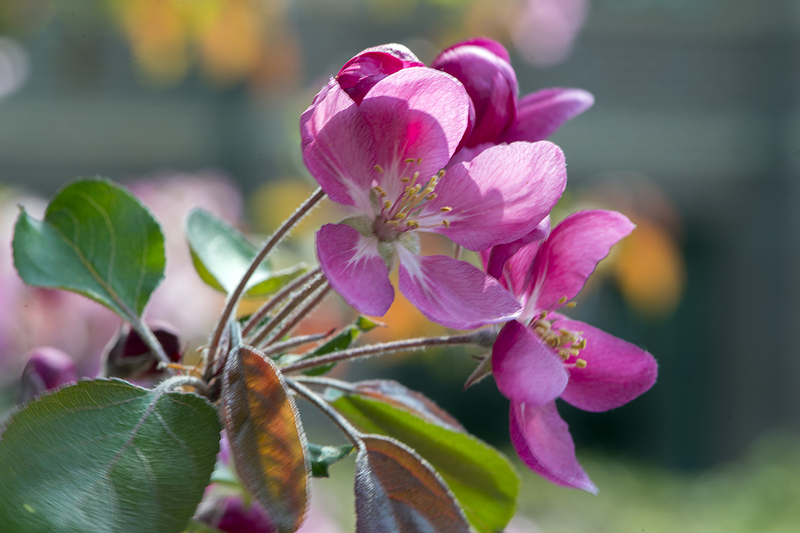 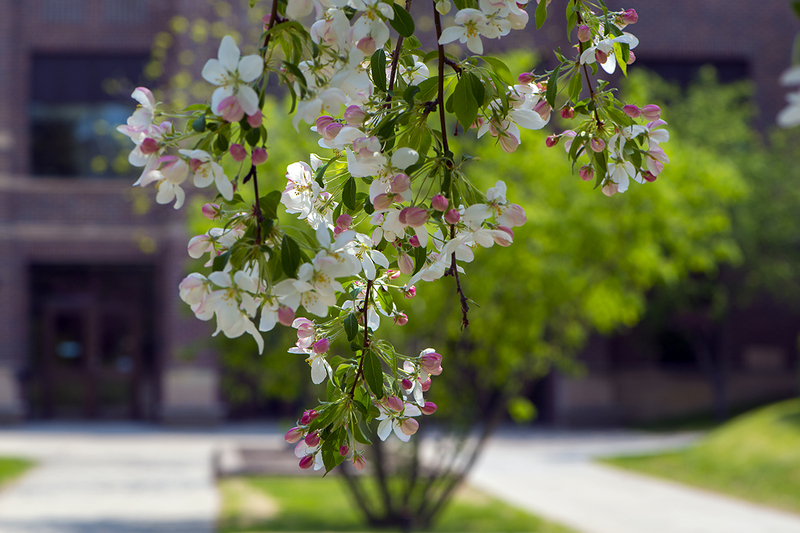 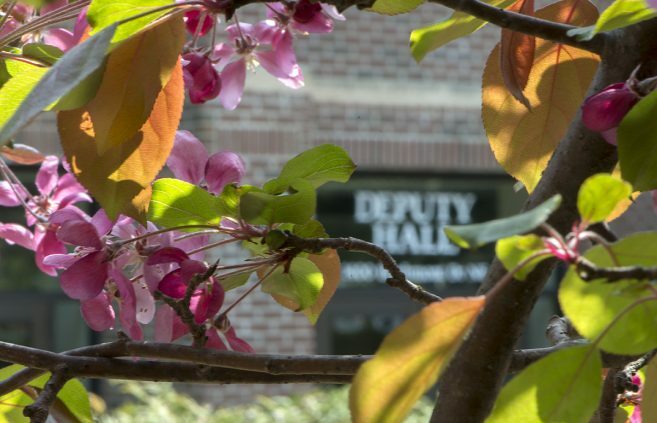 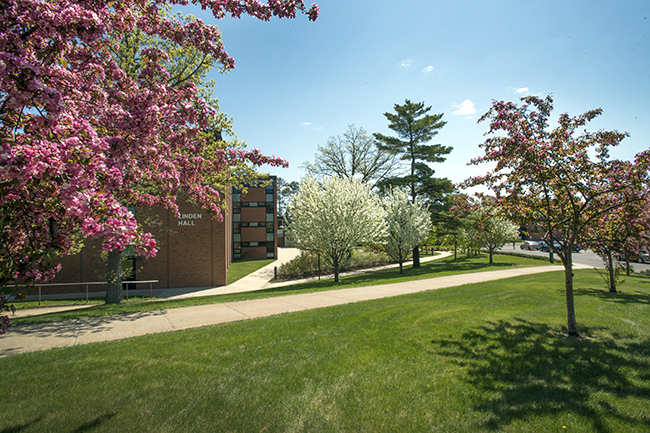 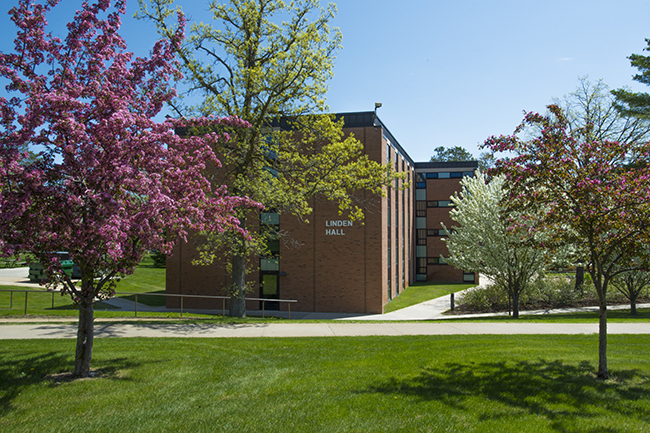 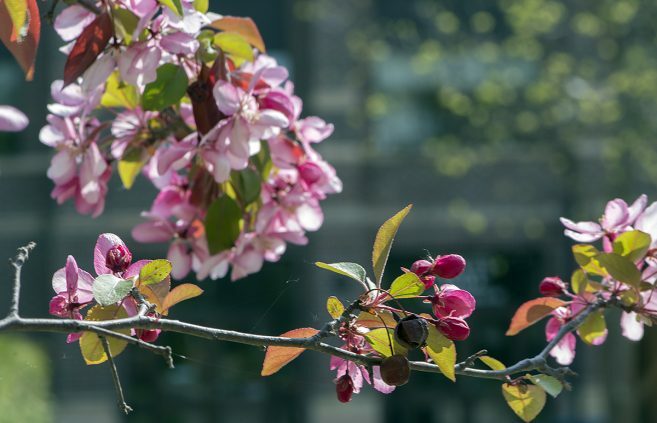 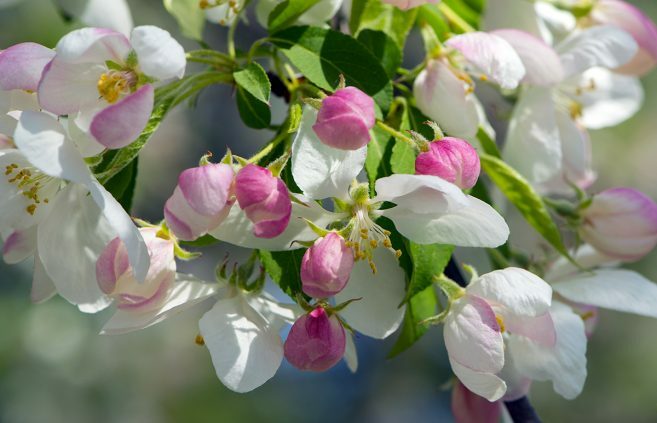 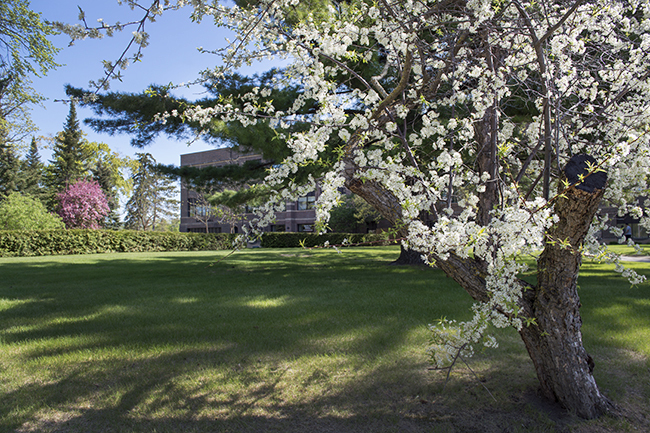 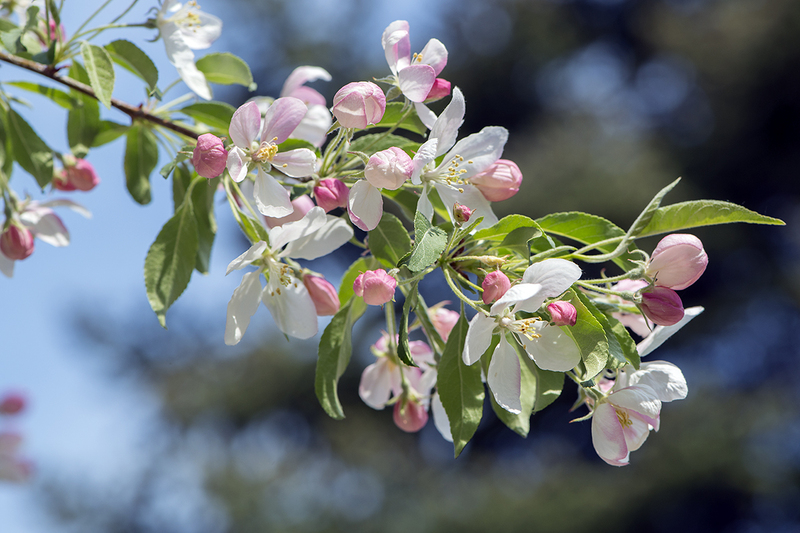 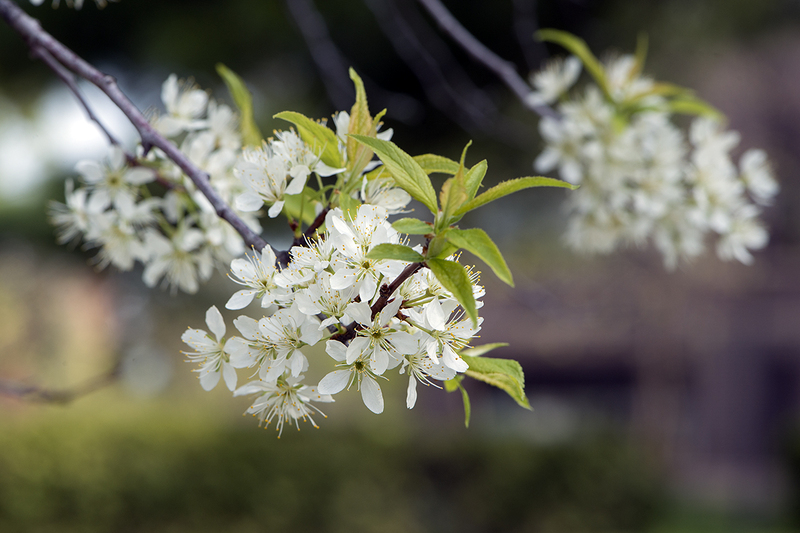 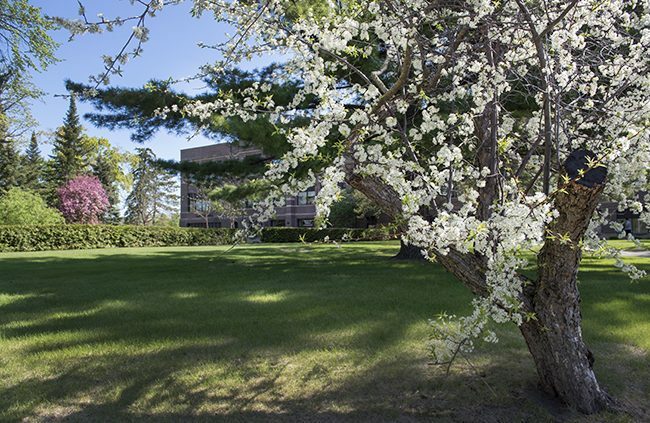 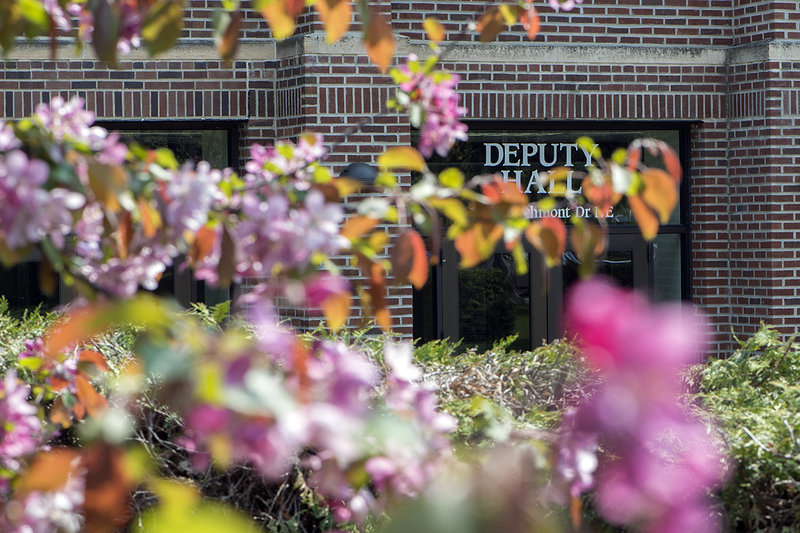 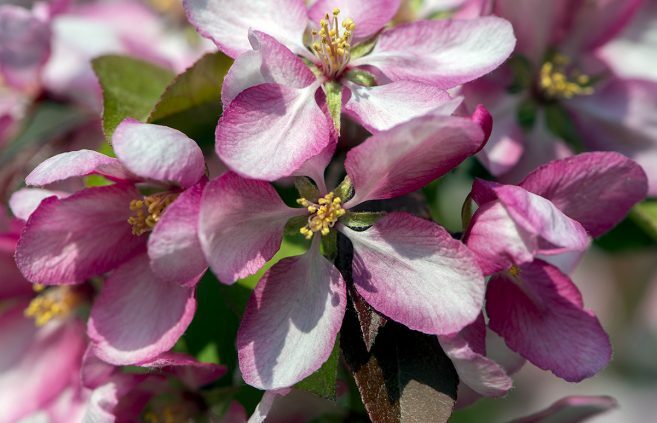 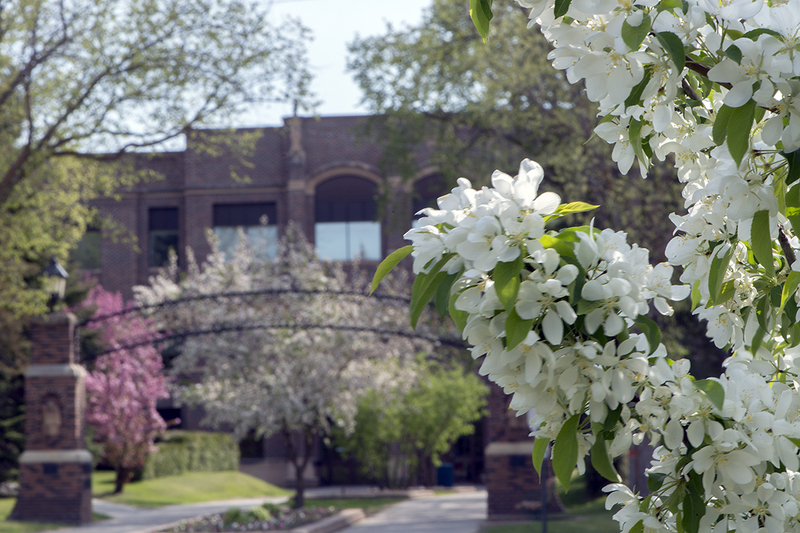 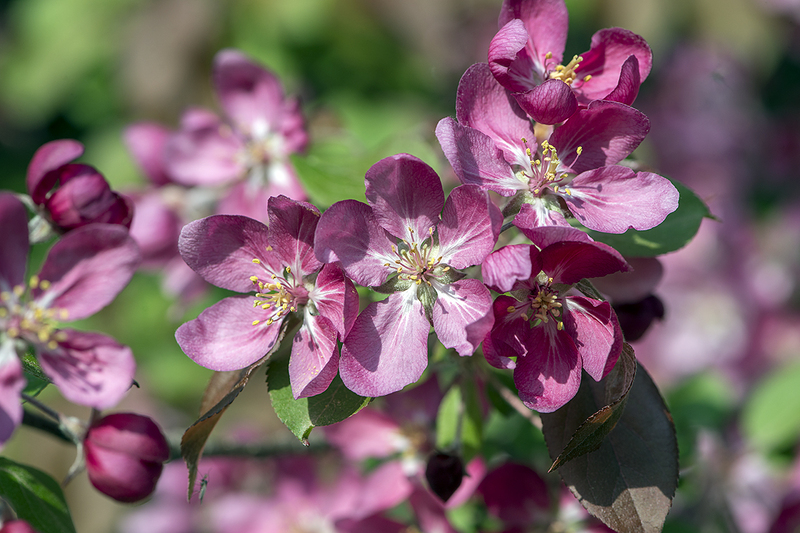 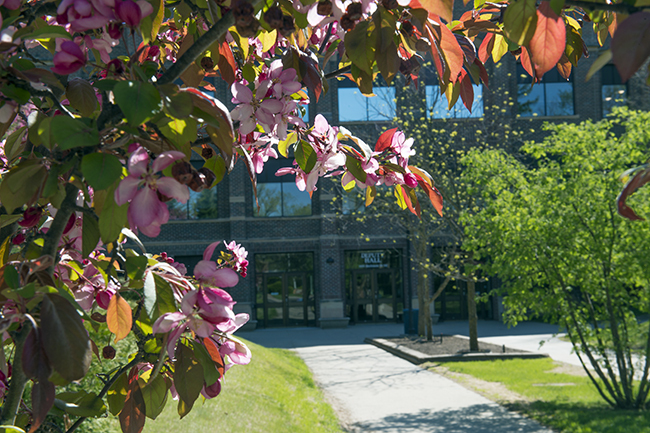 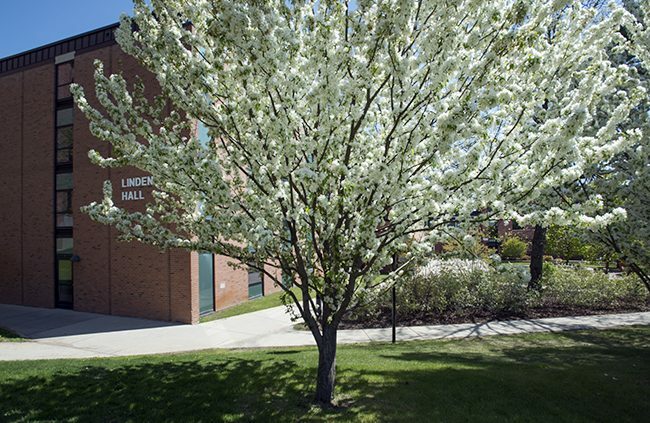 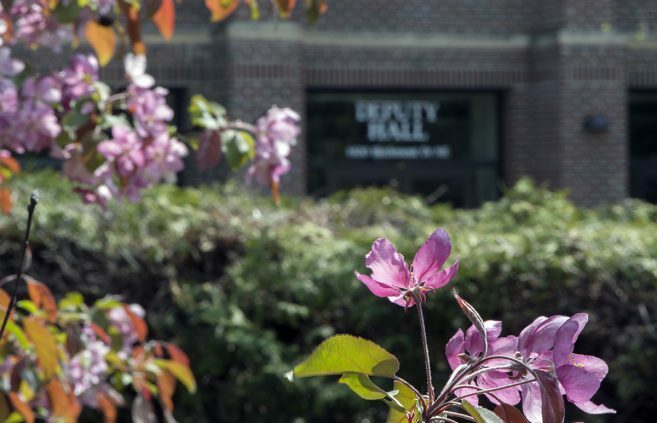 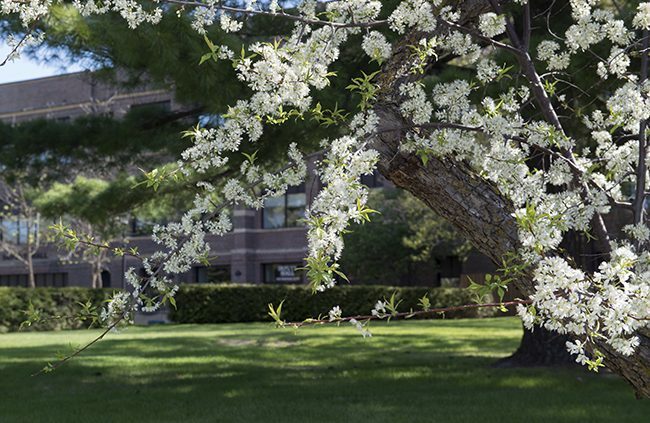 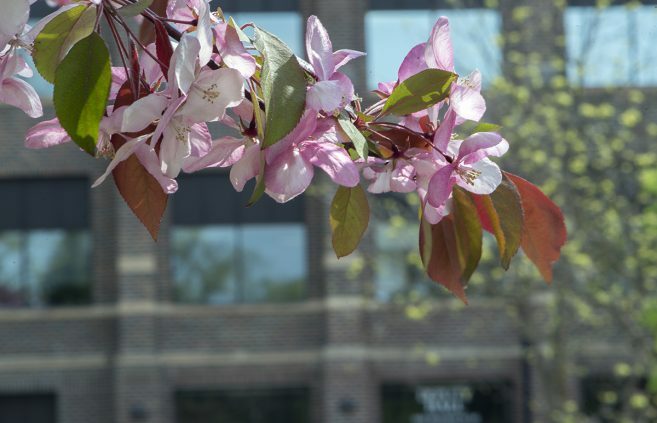 The flowering trees on campus are in full bloom this third week of May. 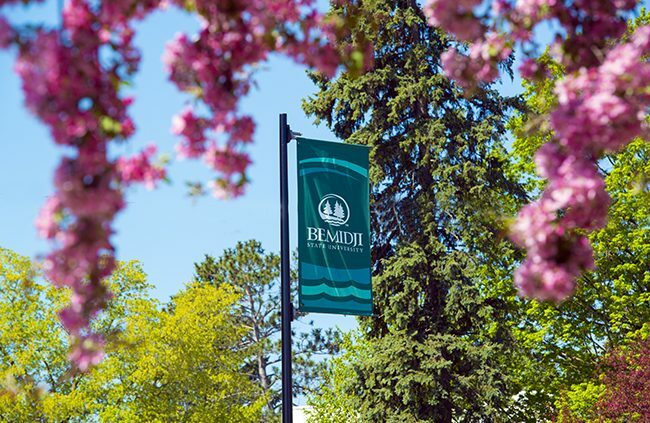 Bemidji State University’s Dr. Kelly La Venture has co-authored a book calling on organizations to create more people-centered cultures, not only because of its benefits to satisfaction and productivity for employees, but also because it has been proven to improve an organization’s bottom line. 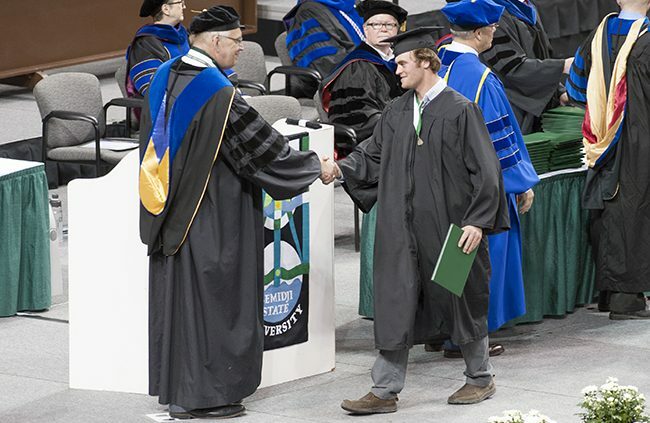 Bemidji State University student Josh Lively, a sophomore-to-be from Abington, Mass., spent his spring semester interning in the Washington D.C. as part of a partnership between the university and Washington Intern Student Housing (WISH). 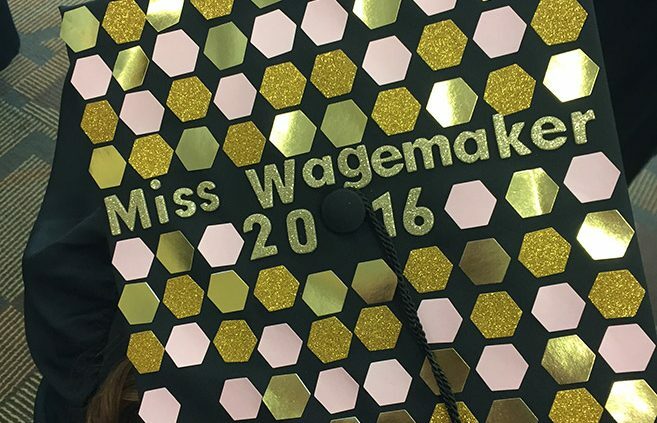 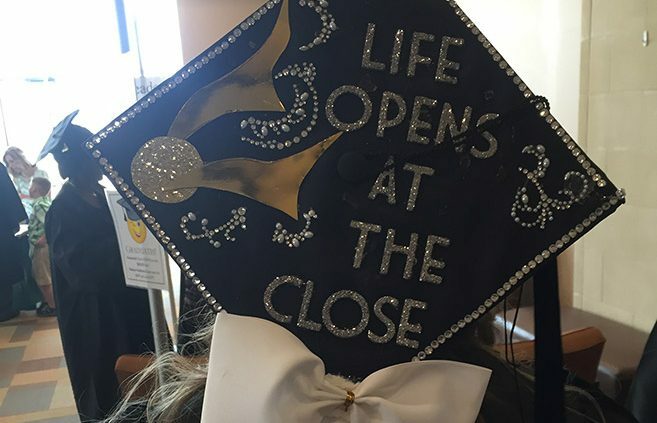 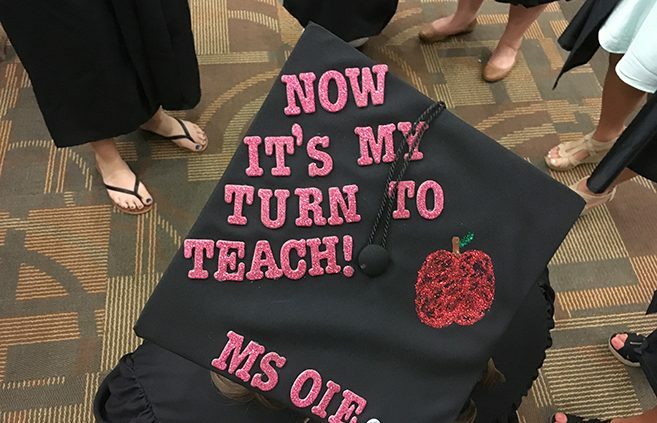 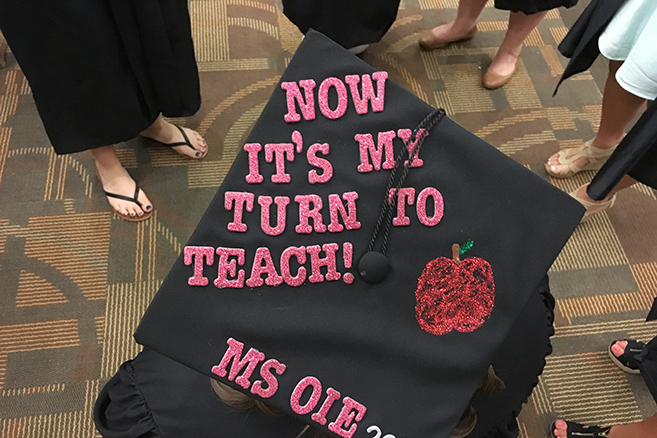 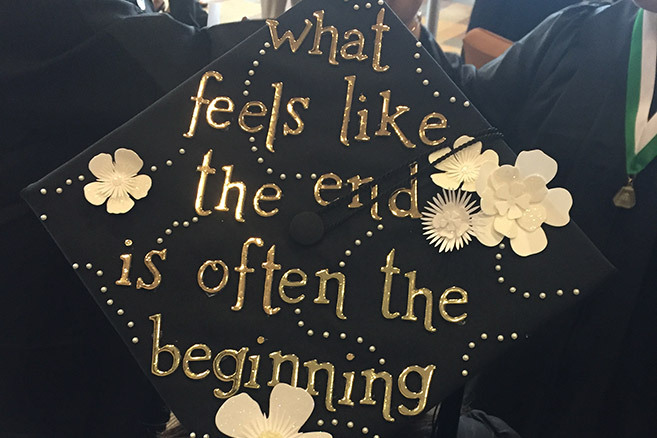 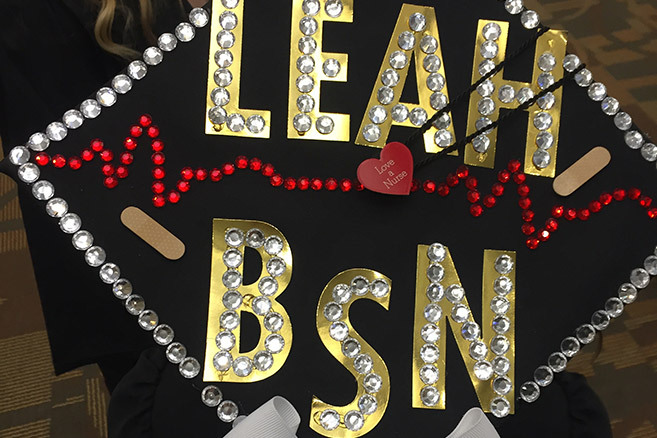 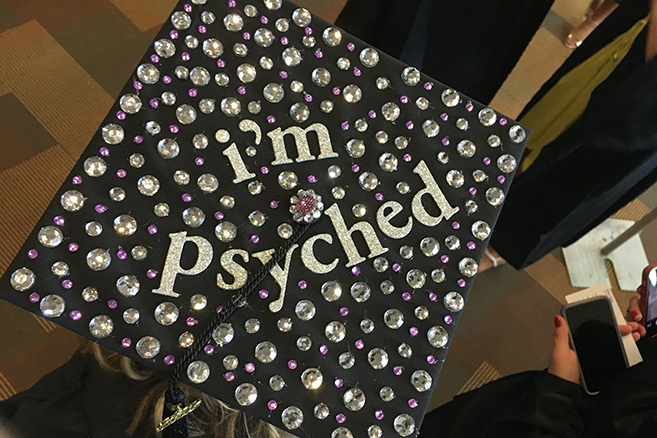 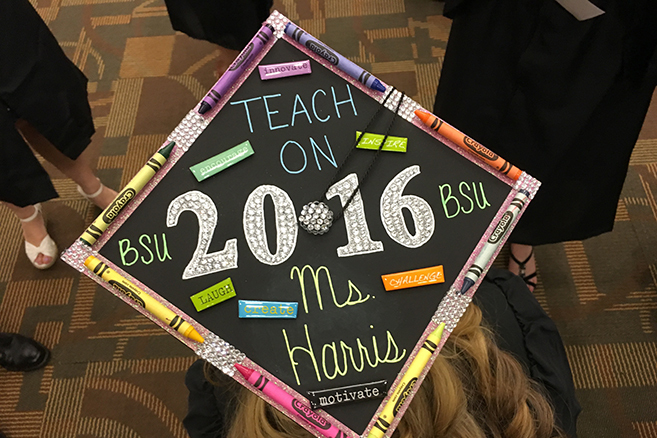 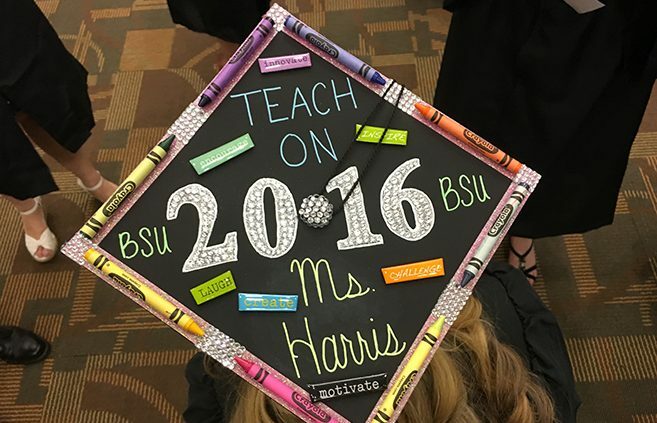 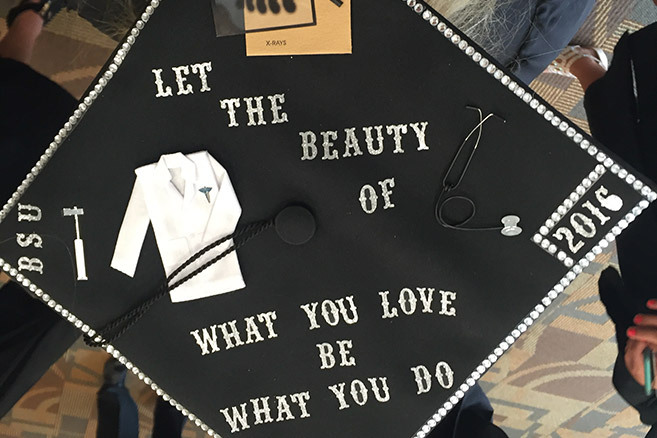 Many graduates decorate the tops of their caps with special messages for friends, relatives and other graduates. 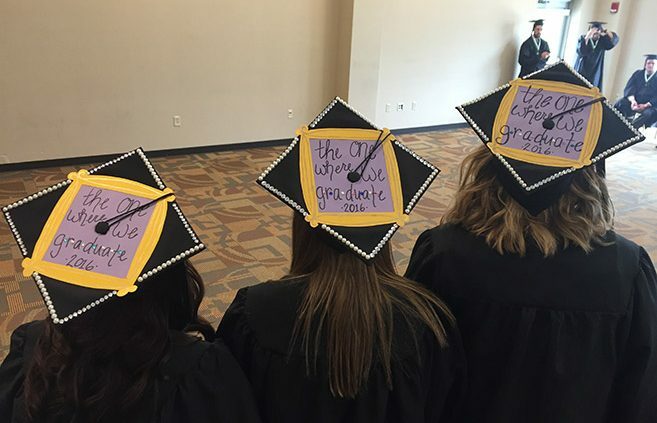 Here are some of our favorites from today’s ceremony. 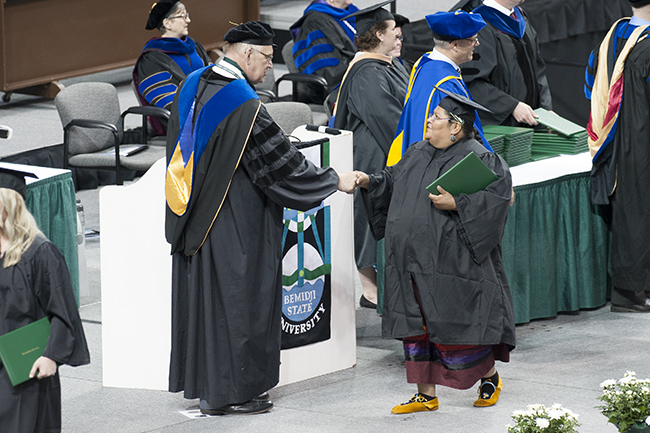 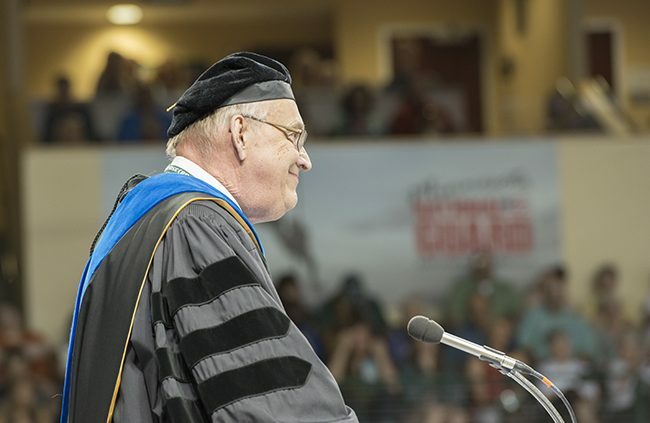 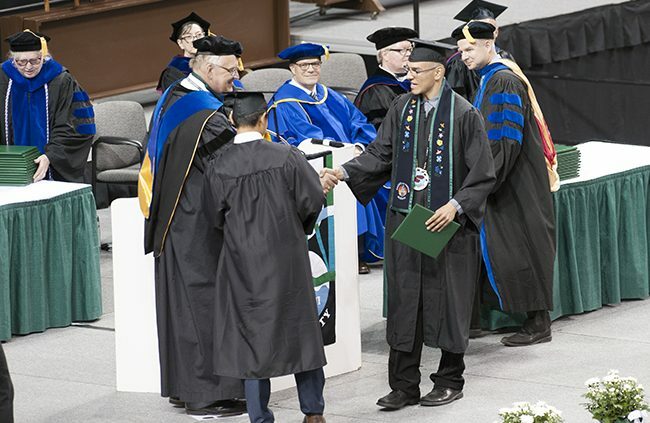 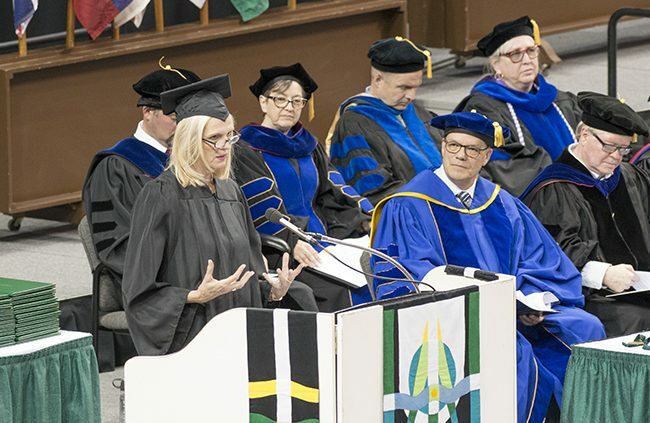 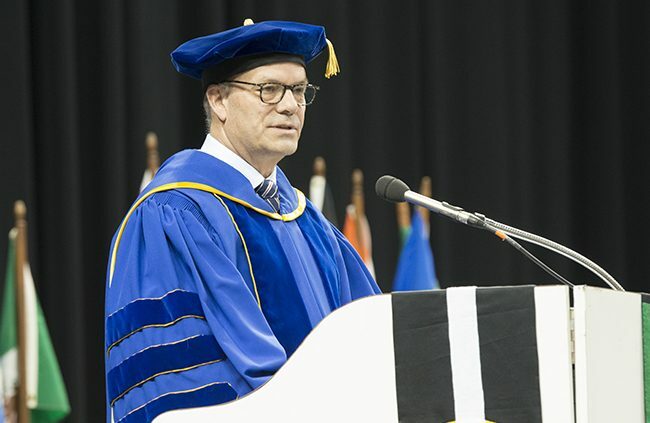 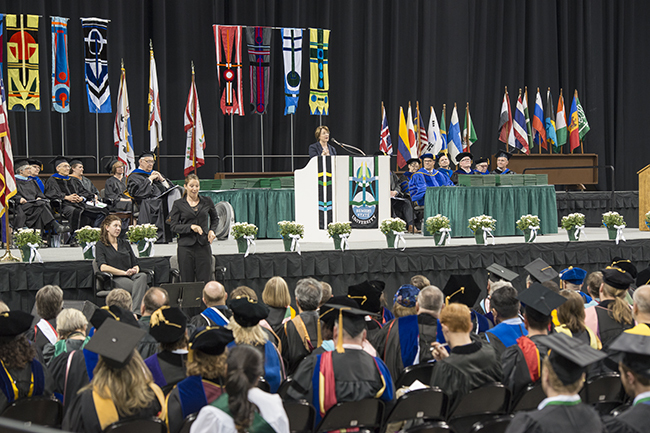 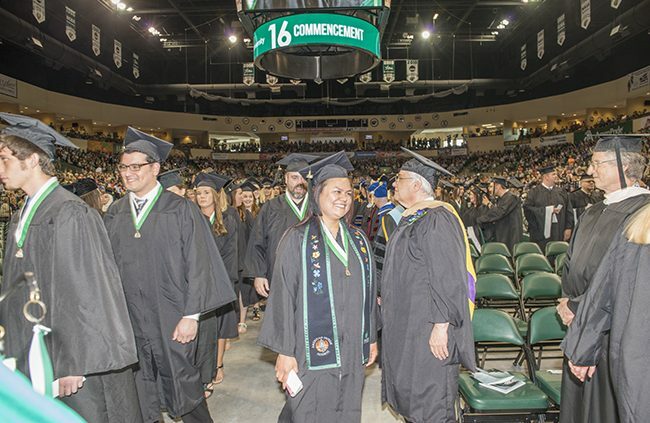 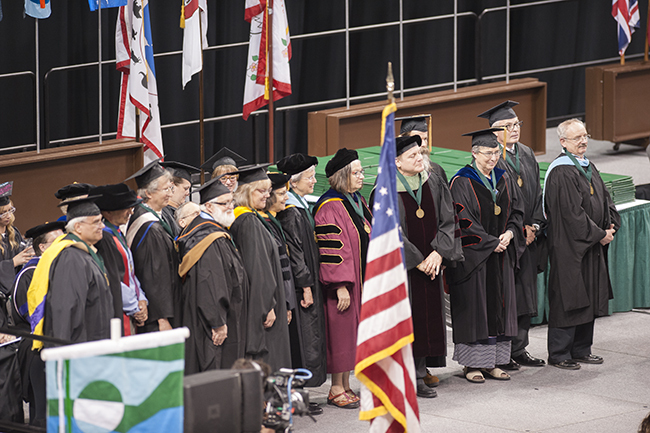 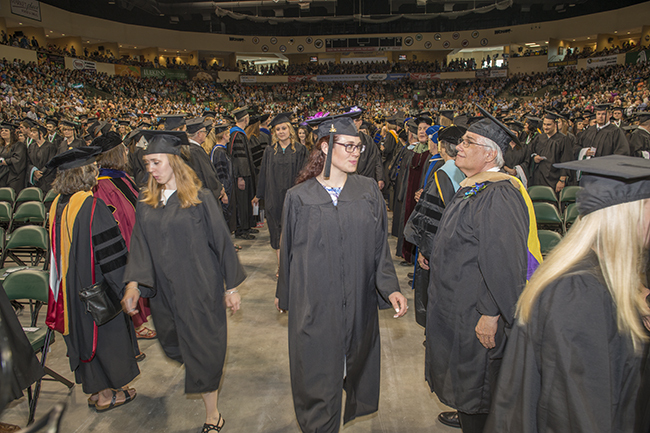 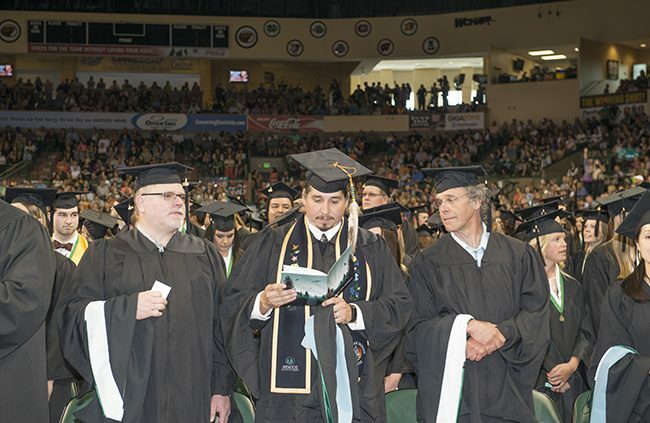 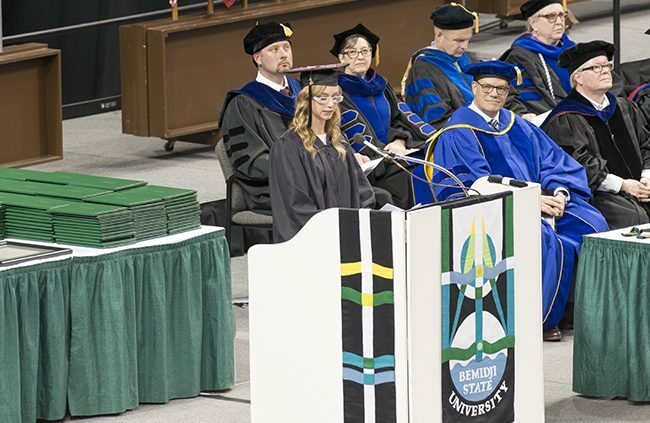 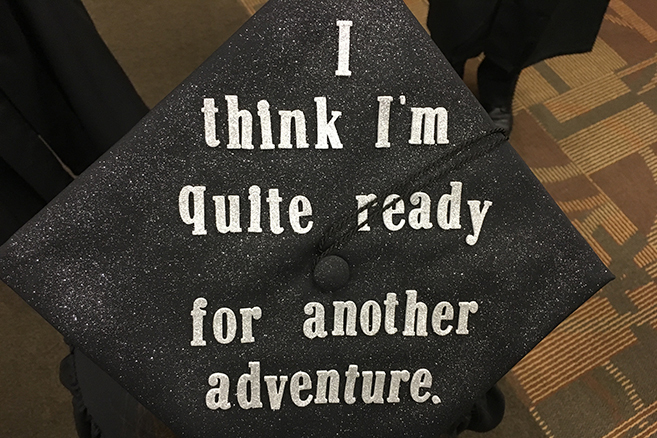 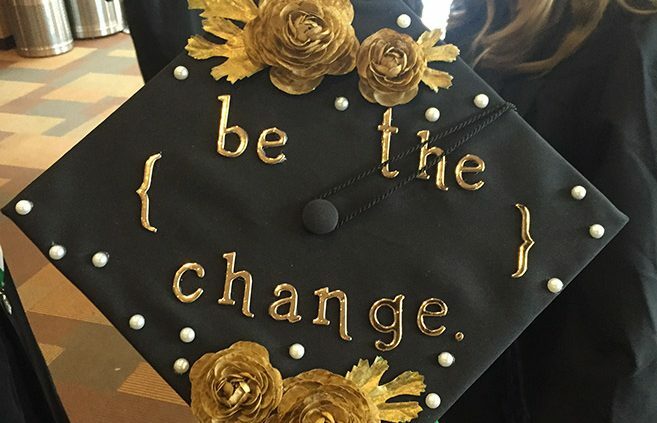 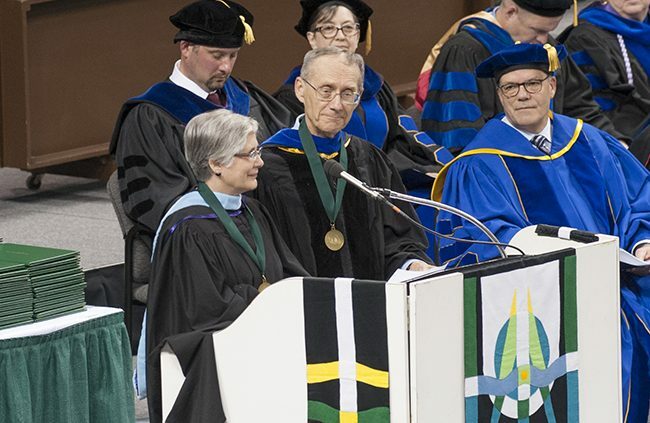 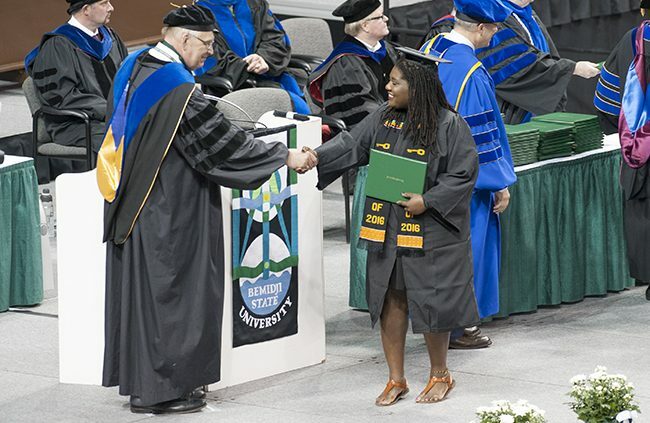 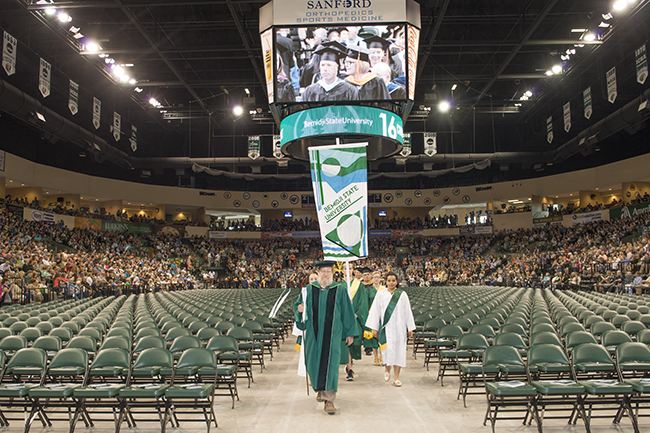 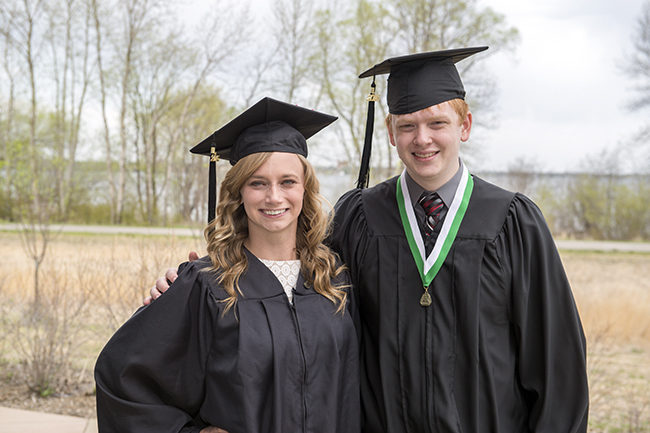 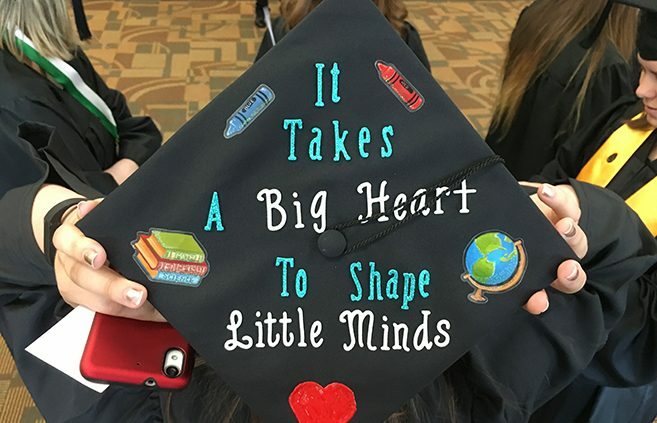 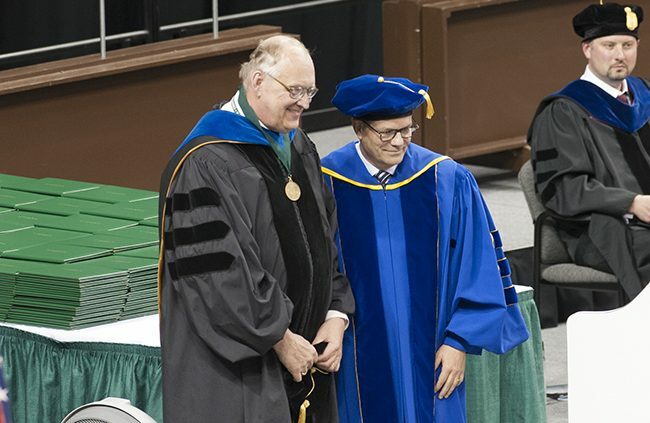 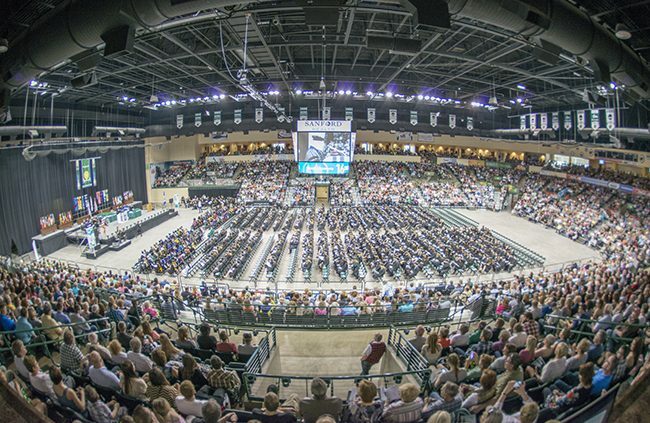 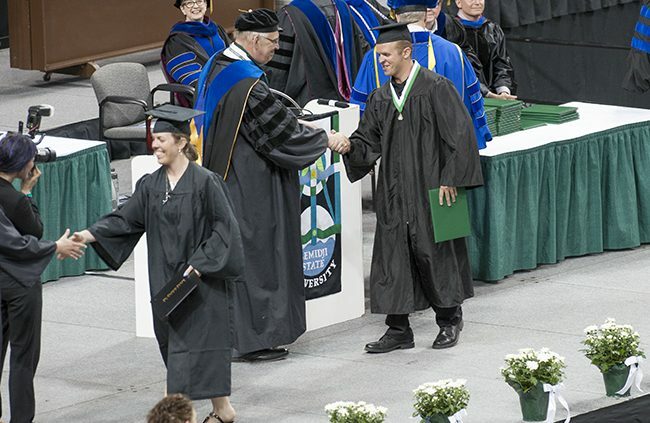 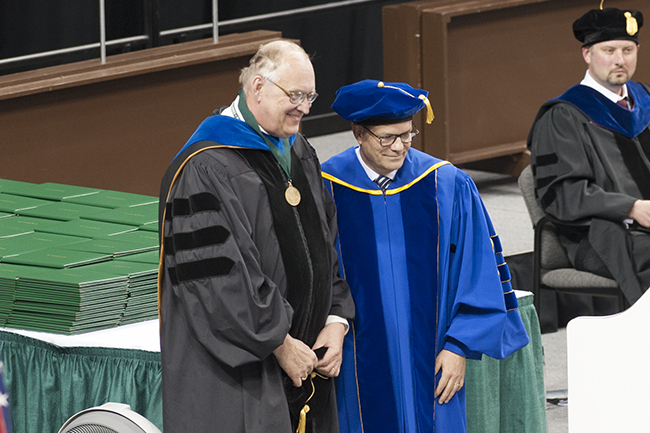 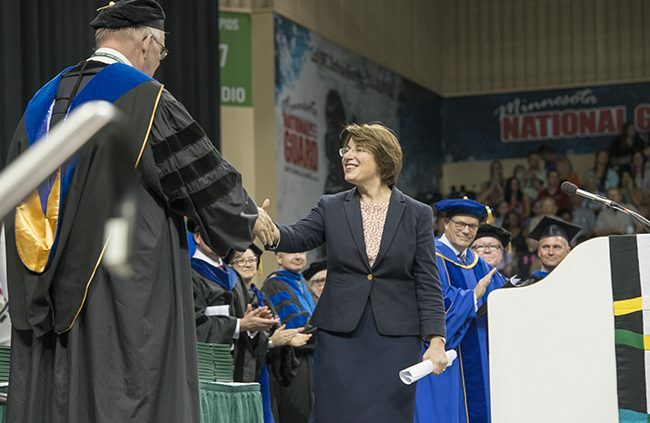 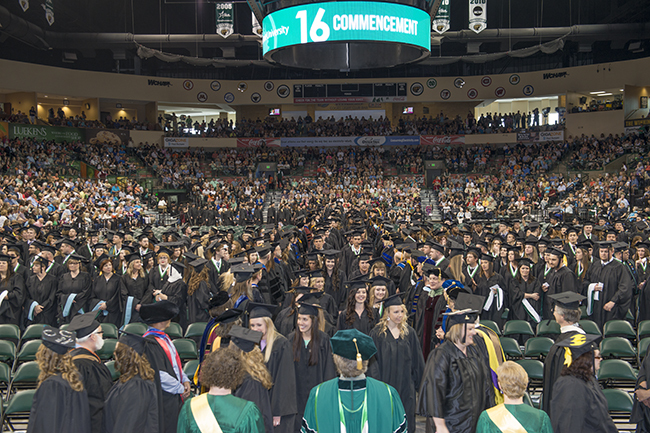 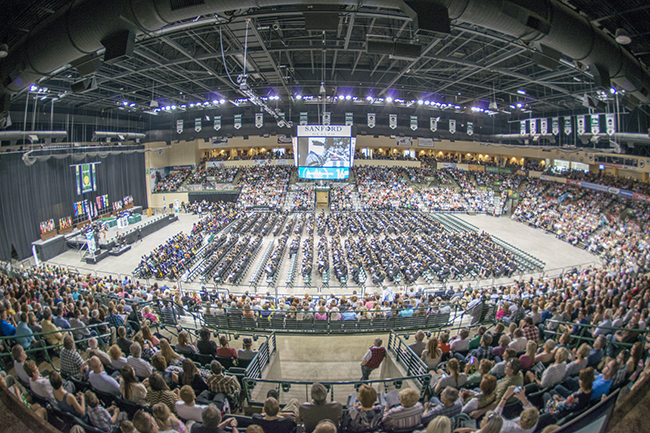 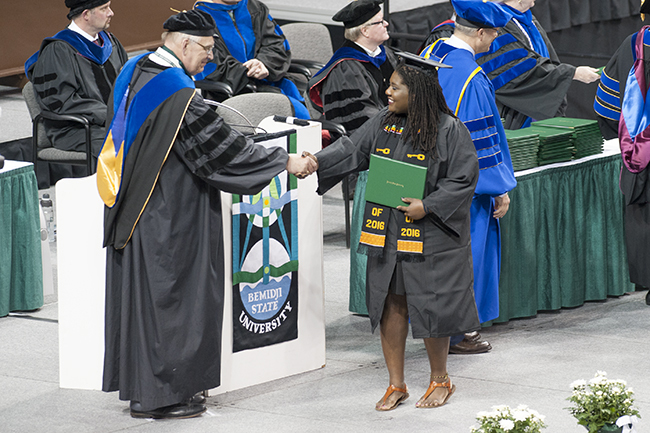 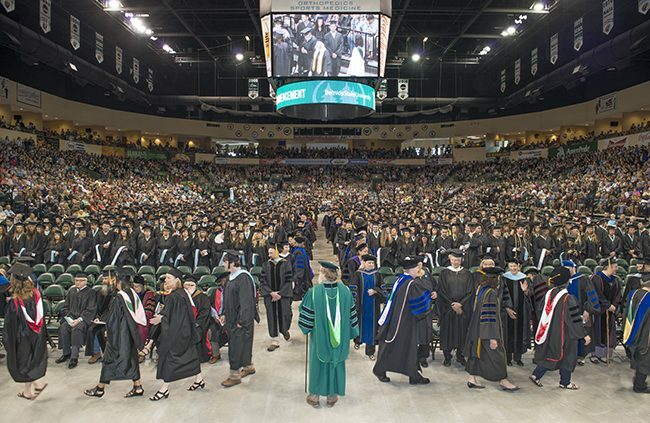 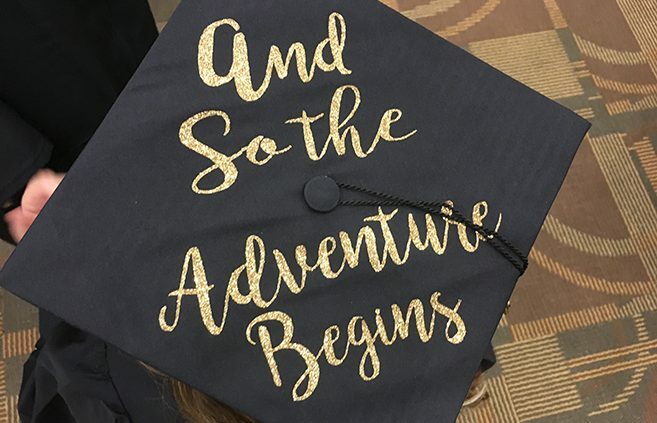 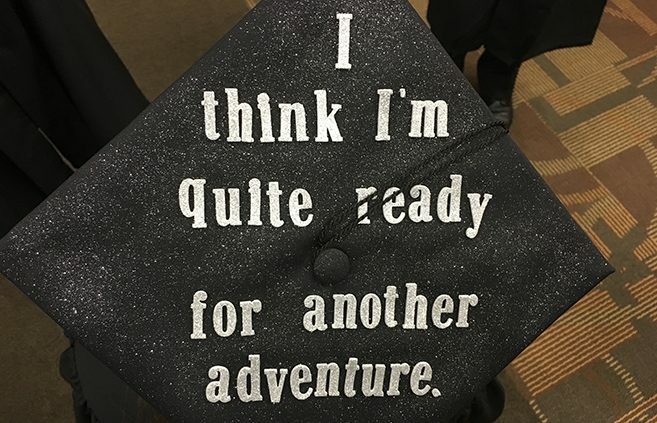 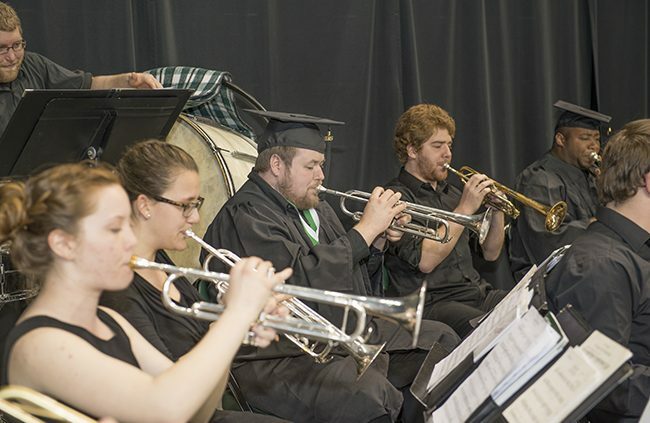 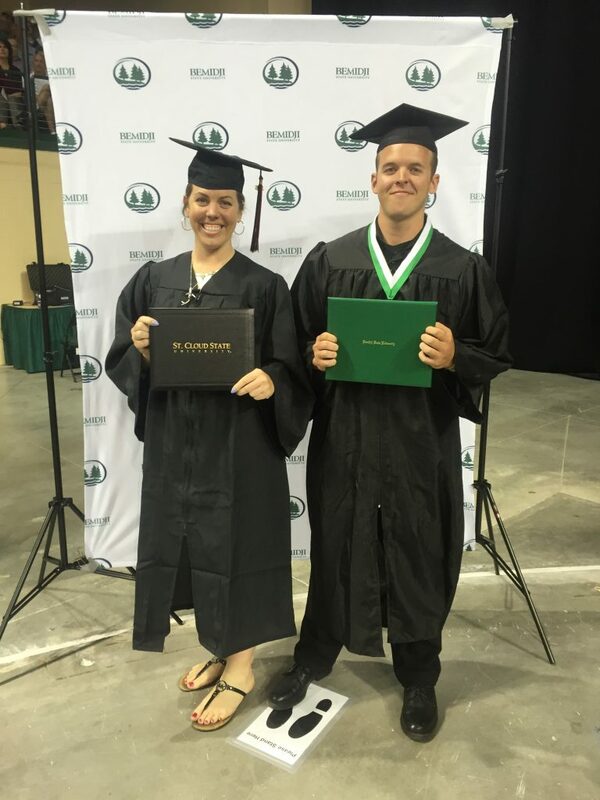 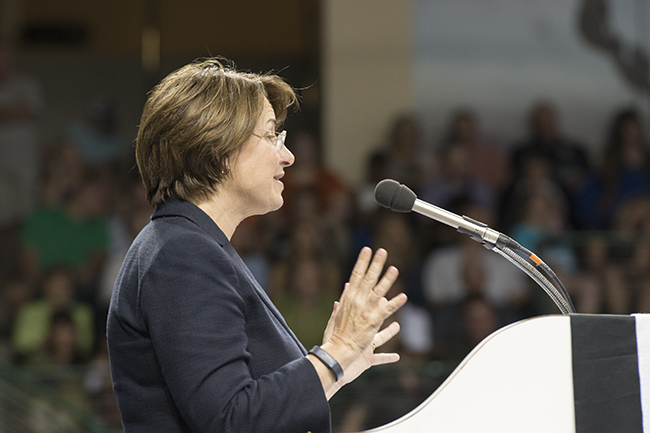 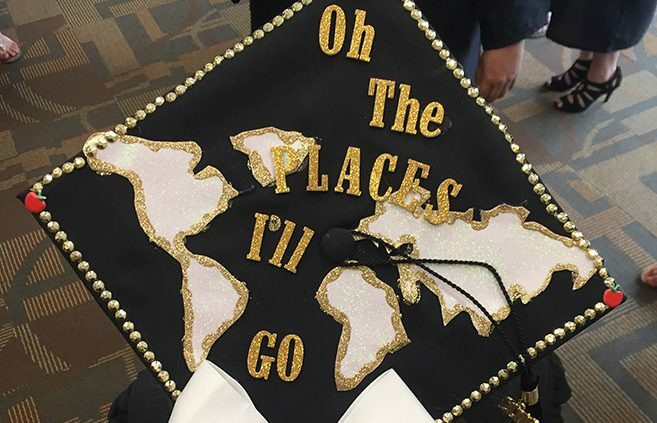 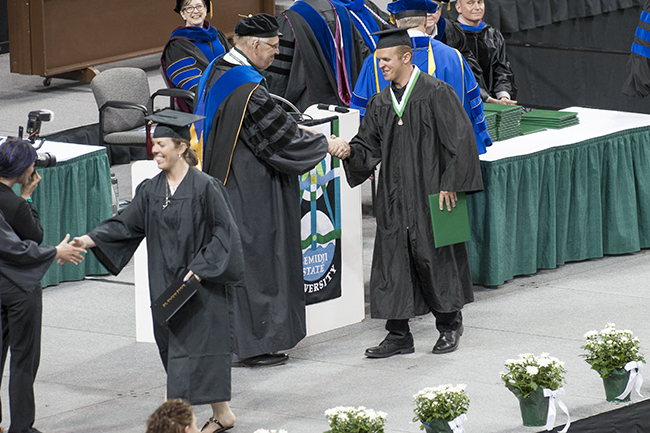 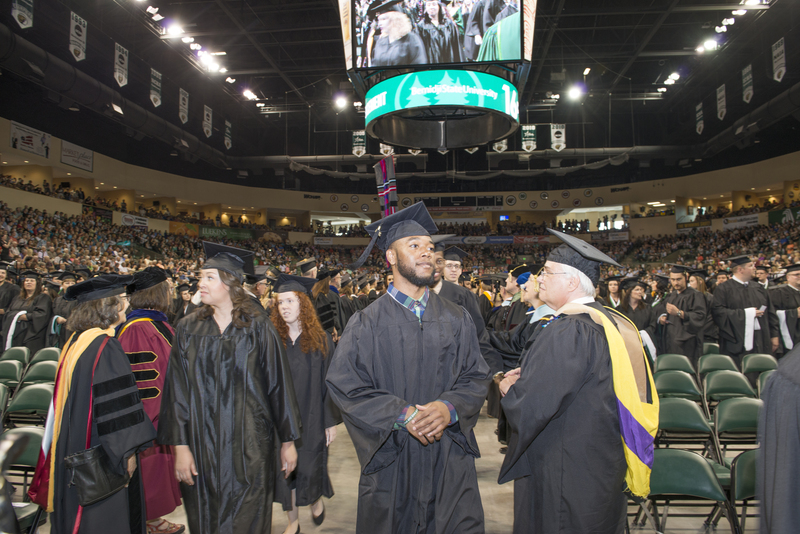 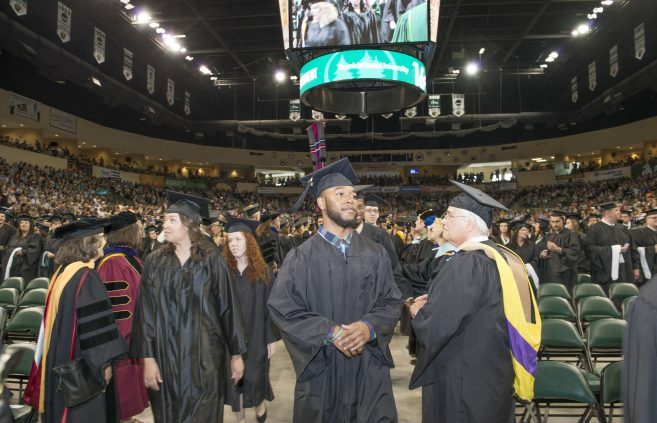 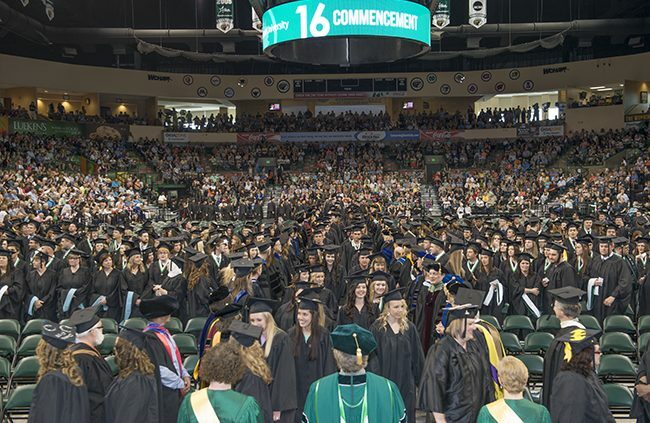 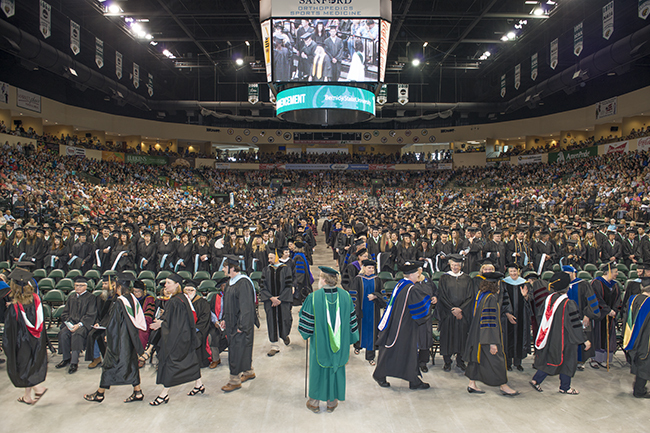 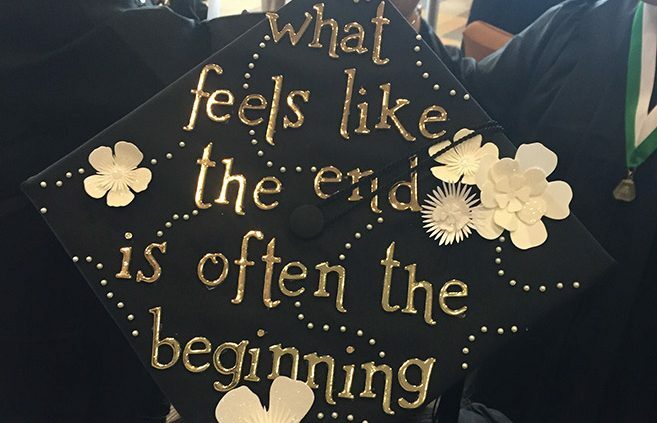 Bemidji State University celebrated 1,034 new college graduates in front of a capacity crowd of family, friends and supporters at its 97th Commencement ceremony.